Tips and tricks for caring for succulents and fun planter ideas for a unique look! It's no secret that I've never been good at keeping plants alive. It's partly due to the fact that I'm horrible at remembering to water them and partly because I'm pretty sure I unintentionally put them in the darkest spots of our home. Regardless of my black thumb, I really do enjoy having live plants around and try my hardest to keep them alive. Recently, I bought two plants and even though they are only marginally surviving, I decided to try my hand at succulents. I headed to Home Depot to pick up a few succulents then swung by Goodwill and a local thrift store in search of fun "planters". 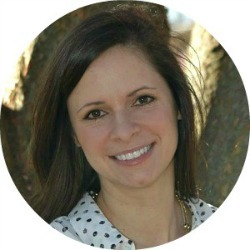 Considering my lack of succulent and plant knowledge, I did what any well-educated person would do when searching for information, I turned to Google. You'll need to prep your succulent before you start removing it from the nursery pot and plopping it into your new planter. 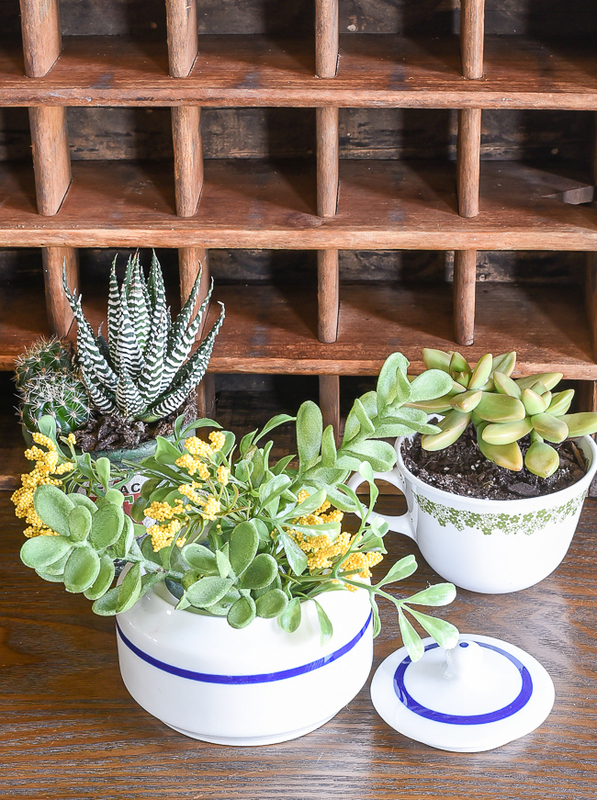 First, make sure you have a bag of potting soil that's made specifically for succulents and cactus. I have to admit, I had no idea there was such a soil, which would explain why none of my plants survived in the past, whoops. If you are repotting into a pot without a drainage hole, it's best to use pumice or well-draining soil. Once you're armed with a fun pot (more on that later) and succulent soil (or pumice), fill your pot with soil then gently remove your succulent from the store pot. Shake off any access soil and gently place your succulent in the new soil. Pat down the soil around the succulent then water to settle the roots in the new soil. 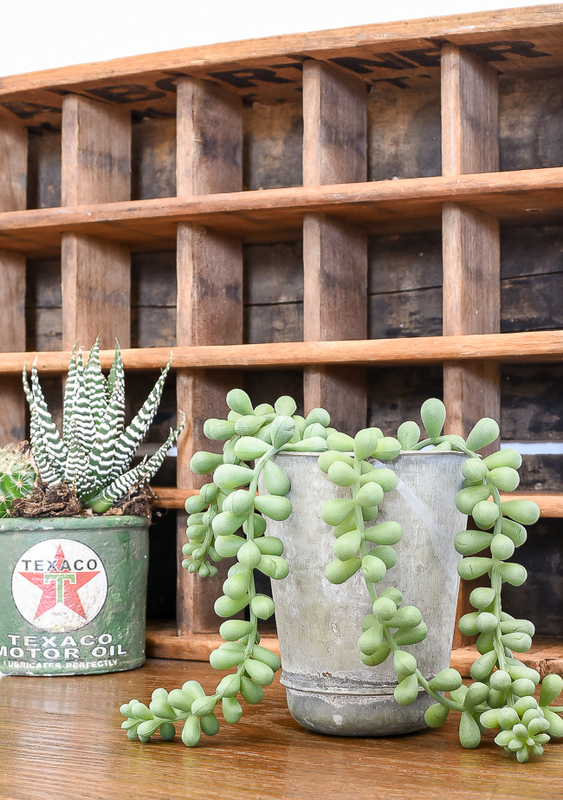 Succulents require at least 6 hours of sunlight, so the closer you place them to a window the better. When watering, make sure to completely soak the soil then do NOT water until the soil is completely dried out. Succulents expect and thrive in droughts so they will soak up as much water as possible until the next watering. Adding greenery (whether real or faux) is one of my favorite ways to add a pop of color to our home. 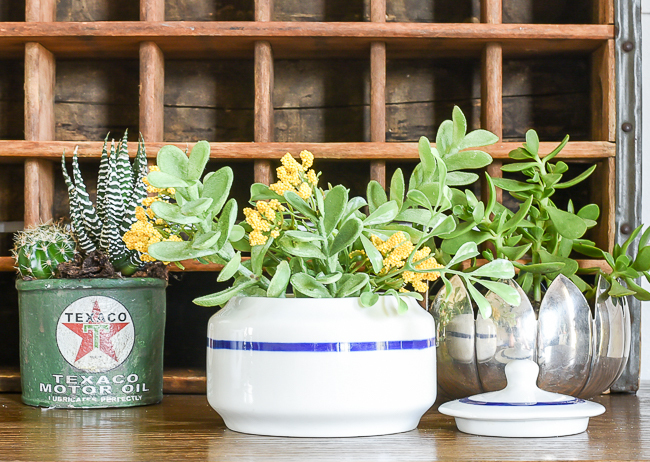 Adding greenery in fun pots and planters is an even better way to bring some color and personality to your plants and succulents. 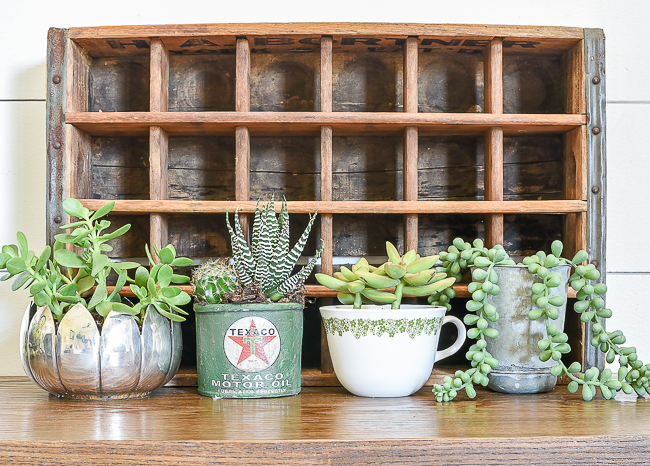 HERE ARE JUST A FEW OF MY FAVORITE THRIFTED FINDS THAT DOUBLE AS PERFECT PLANTERS. 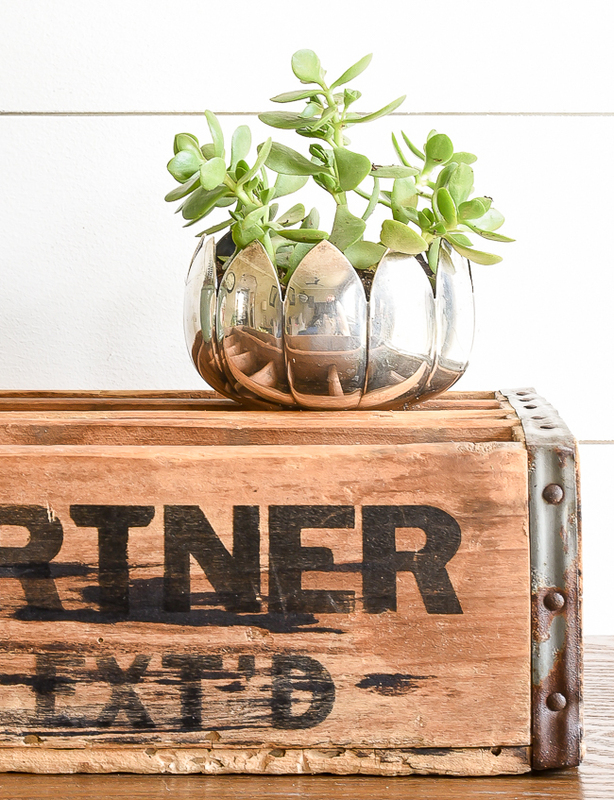 A little vintage stainless steel bowl (found at a thrift store) doubles as an adorable little planter. Doesn't the detal in the bowl remind you of a flower? 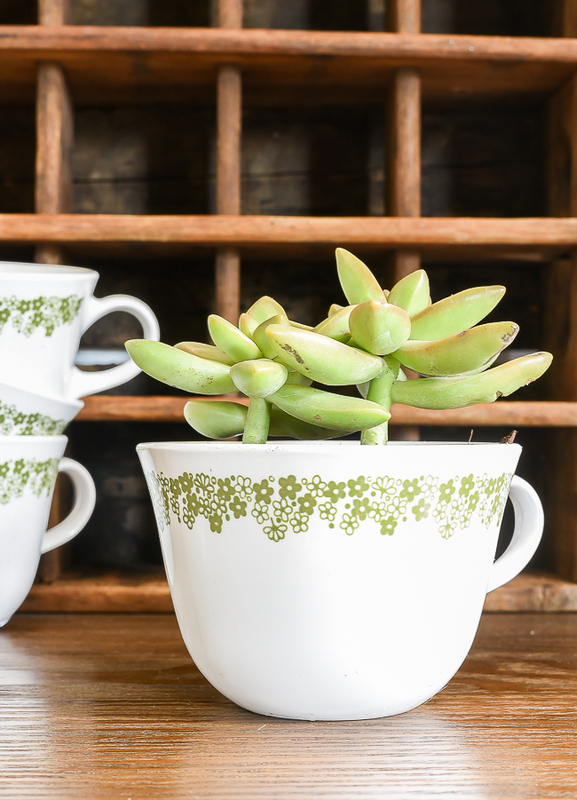 Vintage teacups can be found at any Goodwill or thrift store and make for perfect little planters. I have the one below sitting on my windowsill in my kitchen and it's perfect for the space. My mom had these same dishes (Corelle Spring Blossom) when I was growing up and having them in my own home reminds me so much of my childhood. It's kind of ironic that I thought these plates were ugly when I was younger and here I am as an adult bringing them into my own home. It's funny how things change. 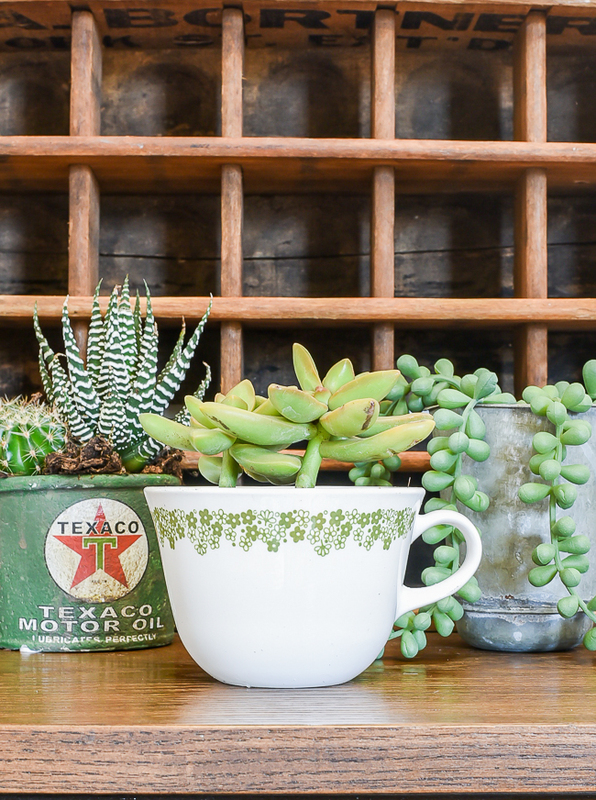 A vintage stainless cup (found at Luckett's) is perfect for a faux cascading succulent and would make a great addition to a little vignette. I love searching for ceramic jars with lids. They are so versatile and can be used in just about any space of your home. I grabbed one of my favorites, added a bit of floral foam (you can find it cheap at Dollar Tree) and faux greenery for another adorable planter. The possibilities are endless when it comes to fun and interesting succuelnt planters. 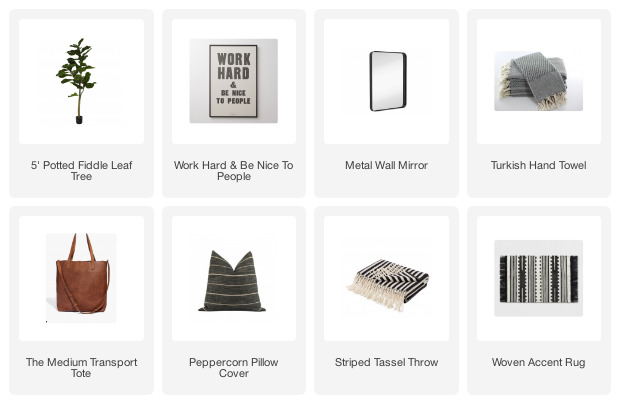 Just head to your favorite local thrift store and scour the housewares aisles. You're bound to find something that's perfect. Funny you should post this today! I just bought two really cute miniature cacti at IKEA in cute grey pots to go with my larger cactus plant. Love your ideas for repotting. Thanks.